Advocates for the legalization of physician-assisted suicide in New York suffered a decisive defeat in court early this month. In its May 3 ruling in Myers v. Schneiderman, a unanimous panel of the Appellate Division, First Department, declared that there is no fundamental right to die under the New York Constitution, nor do any of the state’s statutes, including the Penal Law, implicitly recognize such a right. The court cited a 1997 ruling by the U.S. Supreme Court which held unanimously that New York’s ban on physician-assisted suicide doesn’t violate the federal Constitution. The Appellate Division then concluded that the various plaintiffs in the current lawsuit offered “nothing other than conclusory arguments” for why the state Constitution should be interpreted differently than its federal counterpart. While the plaintiffs have vowed to appeal to the New York Court of Appeals, it is highly unlikely that the state’s highest court will view their arguments any more favorably than the Appellate Division did. 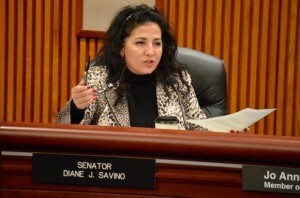 The latest legislative initiative to legalize physician-assisted suicide in the state emerged last Tuesday when State Sen. Diane Savino, a Staten Islander, and Assemblywoman Amy Paulin of Scarsdale, both Democrats, introduced legislation titled the “Medical Aid in Dying Act.” Their seductive premise is that a terminally ill person, who is of sound mind, should have a legal right to die with dignity at a time of his or her own choosing, rather than suffer an agonizingly painful death. To that end, their legislation would permit physicians to prescribe life-ending drugs to such patients for self-administration when and if they choose. Purporting to address the need for appropriate safeguards, the legislation provides that a patient’s request for life-ending drugs must be accompanied by the attestation of two witnesses as to the voluntariness of the patient’s action. In addition, both the attending physician and a consulting physician would have to certify that the individual is suffering from an illness that, “within reasonable medical judgment” will result in death within six months. Finally, where there is reason to believe that the patient may lack the capacity to make an informed decision, he or she would be referred to a mental health professional for an evaluation. Savino and Paulin specifically provide that actions taken under their legislation shall not be construed as “suicide” or “assisted suicide”, a mindless assertion that evokes images of Shakespeare, a rose, and any other name. They also portray the role of the prescription-supplying physician as so minimal that it doesn’t even rise to the level of “assistance” as that word is generally understood. Out of these word games comes their claim, with straight faces, that their bill doesn’t really sanction physician-assisted suicide. Common sense says otherwise, of course, as did the Appellate Division in evaluating just such a role for a physician in the Myers case. While Savino and Paulin are undoubtedly well-intentioned, their bill is fundamentally and irredeemably flawed. The American Medical Association, which adamantly opposes physician-assisted suicide, undermines its major premise by asserting that hospice care is perfectly capable of providing adequate pain control to terminally ill patients. The nation’s premier medical organization also maintains that “physician assisted suicide is fundamentally incompatible with the physician’s role as healer,” a position it has reiterated before the U.S. Supreme Court. If the legislation is enacted, certain physicians are guaranteed to emerge as the go-to doctors for obtaining the diagnosis being sought. Consider, for example, that during the first 12 years of Oregon’s physician-assisted suicide law, 78 percent of that state’s assisted deaths saw involvement by physicians who were either members of or collaborated with Compassion & Choices, the successor to the now-defunct Hemlock Society. The legislation also provides fertile ground for mischief by unscrupulous heirs anxious to expedite their benefactor’s demise. Provisions in the law aimed at deterring such abuse are weak and, in any event, easily circumvented. Even if the weighty moral and ethical objections to physician-assisted suicide are cast aside, Savino’s bill can safely benefit only a limited class of individuals – the Brittany Maynard types. For the most vulnerable among us, however, the weak, and the infirm, and the disabled, and the distraught, it can never be more than a prescription for cruel choices and deadly mischief.